The FAA on Monday posted a to its rule on ADS-B requirements for the general aviation fleet, which should offer more choices to owners of experimental and LSA aircraft. The notice reads that the final rule, posted in May 2010, required that ADS-B equipment must meet the requirements of certain TSOs; however, the FAA says it should have stated that the equipment must “meet the performance requirements” in those TSOs. The change is substantial, since equipment may be available in the experimental market that hasn’t gone through the expensive TSO process, but can deliver the same performance at a lower price. The requirements for type-certificated aircraft are unchanged, according to Ric Peri, vice president of government and industry affairs for the Aircraft Electronics Association. 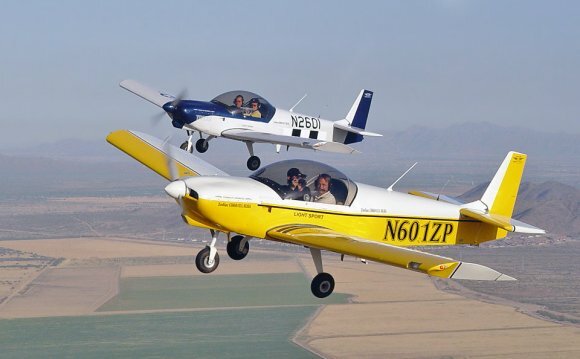 The FAA correction, however, raised some questions because it doesn’t specifically state that the change affects only experimental and LSA aircraft. Peri, of AEA, told AVweb it’s stated elsewhere in the regulations (FAR 21.9 (a) (2)) that devices installed on type-certificated products must be produced under an FAA production approval (TSO). “This is what leads most manufacturers of products for certified aircraft to the TSO (when available) and PMA (when not) for avionics and electronic systems, ” Peri said. The FAA has not yet responded to a query from AVweb seeking clarification. The Arion Lightning is a light-sport aircraft available as a kit aircraft or as a production Special LSA. The Lightning was developed by Jabiru Aircraft designers Pete Krotje, Ben Krotje and Nick Otterback.